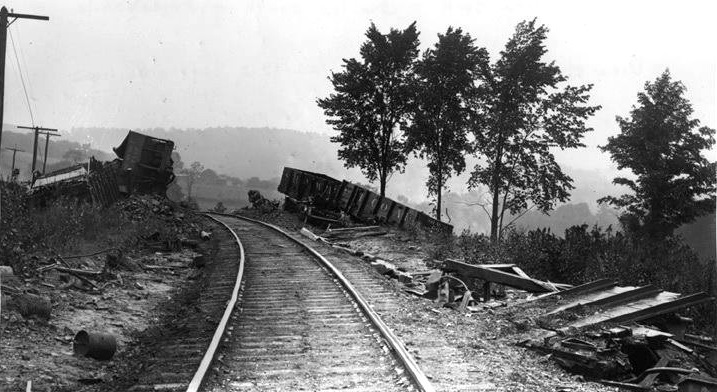 On September 22, 1912, a Sunday excursion train heading from Stony Brook Glen to Olean met head-on with a north-bound coal train, just south of the hamlet of Nile, NY killing two passengers and injuring many more. 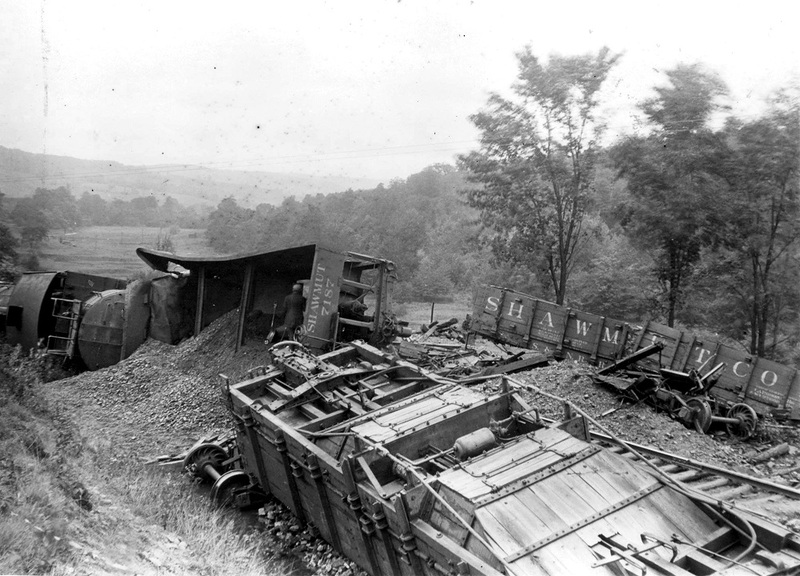 Engineer Johnson, of the excursion train, was so badly hurt that he died four days later in the Olean hospital. Engine No. 11, which headed the excursion, was totaled in the collision with Engine No. 68 of the coal train. 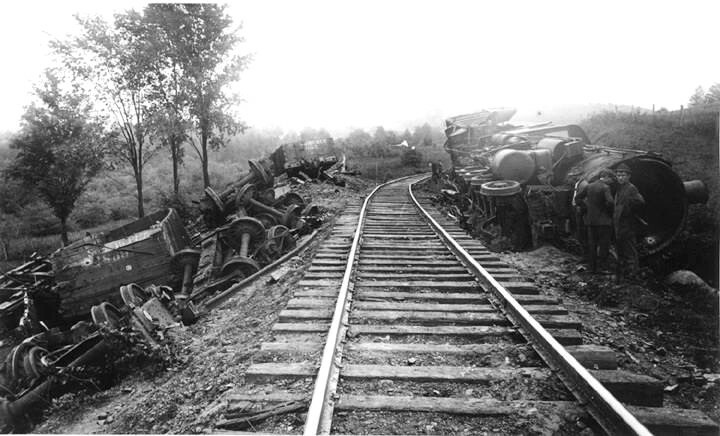 The events leading up to the wreck were as follows: That Sunday morning, an excursion train consisting of Engine No. 11, a baggage/smoking car, and coach left Olean for Stony Brook Glen, a popular scenic spot in Western New York. At Ceres, the excursion train was flagged down because of a stalled freight train ahead. To expedite the excursion party, another train was dispatched out of Angelica to pick up the excursioners on the other side of the stalled freight. This train was headed by Engine No. 10, trailing a baggage/smoking car and coach. After letting the excursioners off at the Glen, the train crew of this train laid-over at Hornell. Train No, 10 was dispatched from Hornell, at 6 PM, to pick up the excursioners at the Glen and deposit them in Olean at 9 PM. Meanwhile, the stalled freight at Ceres had been cleared up and Engine No. 11 had proceeded to Belvidere with the original excursion train. When No, 10 reached Belvidere, it was decided that Train No. 11 should finish the trip back to Olean, and that No. 10 should return to Angelica. So train crews and trains were changed, and No. 11 prepared to leave for Olean. 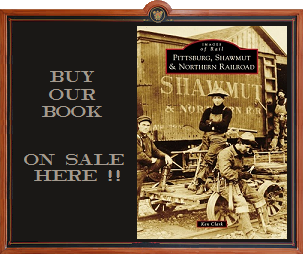 Customarily, the baggage car should have been placed directly behind the engine but, because there was no place to turn the train at Belvidere, the passenger coach was placed behind the engine, with the baggage car trailing at the end of the two-car train. 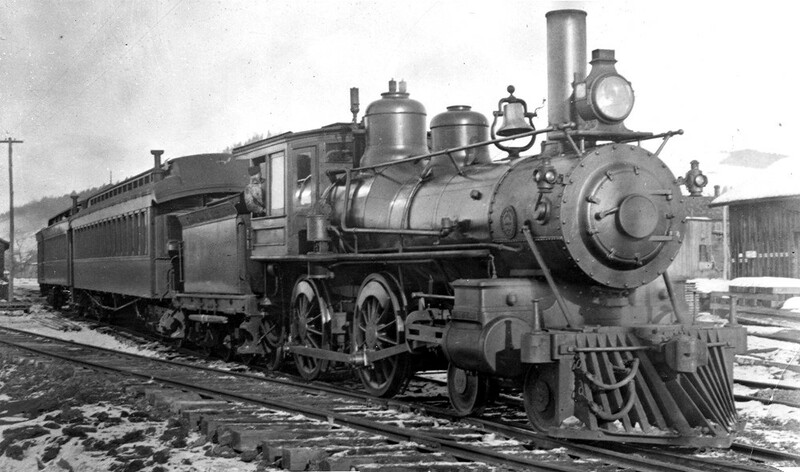 Shortly after leaving Belvidere, the excursion train reached Friendship. 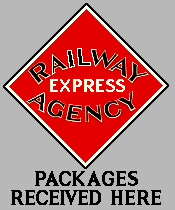 There, station agent Warner Brundage issued train orders for No. 11 to meet Extra No. 68 on the Friendship north siding. Prior to this, earlier that day, light Engine No. 69 had followed Excursion No. 11 north and pulled into the siding at Friendship while the original excursion train continued on to Belvidere. No. 69 had helped a train up the hill at West Notch and was returning light to Angelica. No. 69 was held over at Friendship to await the return of No. 11 and the excursion train. The orders handed up to No. 11 did not mention the presence of No. 69 standing on the siding, only to meet No. 68 at Friendship. It was customary for north and southbound trains to meet at West Notch or Friendship. Engine No. 69 was standing on the right (engineer’s) side of No. 11, with its headlight burning brightly. Engineer Johnson, reading his orders, mistook Engine No. 69 for No. 68, in a quick glance at the side-tracked 69. 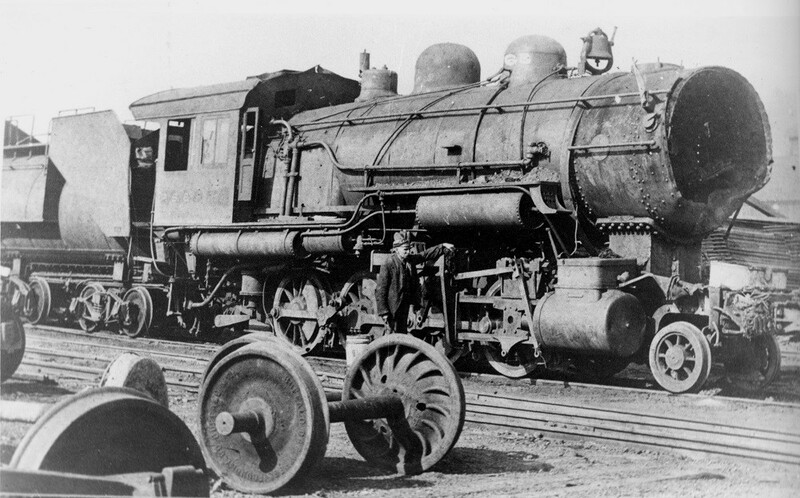 At Nile, Conductor Jack McLaughlin, of the excursion train, came forward to the engine and asked Johnson what engine he had passed at Friendship. Johnson rep1ied, "Extra No. 68." "Are you sure? ", asked McLaughlin. To which Johnson rep1ied, "If I weren't sure, I wouldn't be here!" So McLaughlin said, "All right, Billy, go ahead." Continuing on, a mile or so south of Nile, Excursion Train No, 11 met head-on with northbound Coal Train No.68. Engine No. 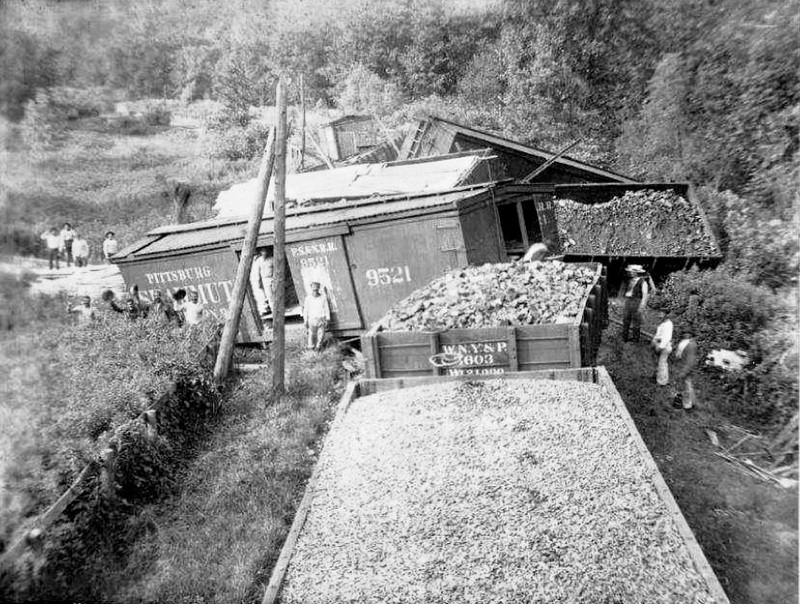 68 was derailed along with several coal cars. No. 11 was tossed completely off the track and so badly damaged that it had to be scrapped. The passenger car behind the engine was telescoped into the tender, crushing the front of the car completely. Splintered wood and broken glass were everywhere. Most of the passengers were injured, some seriously. 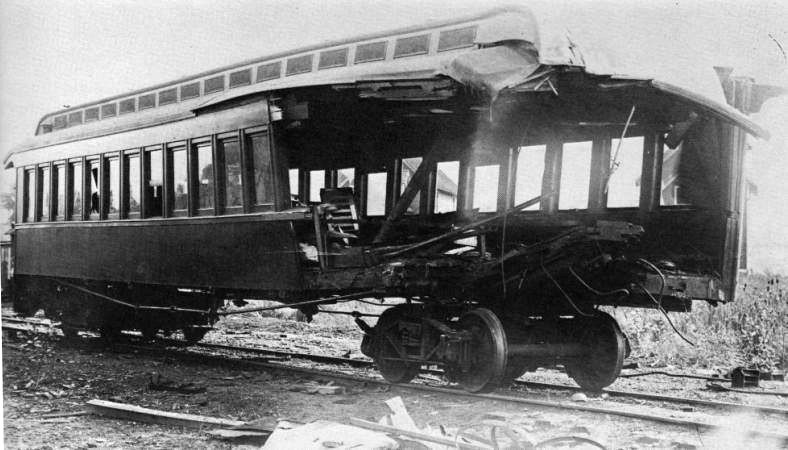 It was a miracle that only two were killed, because the passenger car was telescoped for half its length by the tender. When the fireman of No. 11 regained consciousness, he was in a car of coal and did not know how he got there. When Brakeman Short came up to Wells with a watch and chain, Wells recognized it as Billy Johnson's. Short said the watch belonged to a man lying beside Engine No. 11. 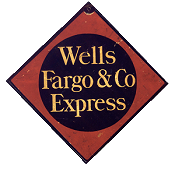 By then, Conductor McLaughlin came forward and asked Jerry Wells to go for help because several people were badly hurt. Jerry was still in a daze as he started toward a nearby farmhouse, in search of help. When he got there, he looked so bad that the people put him into bed, dirt, coal dust and all. On Engine No. 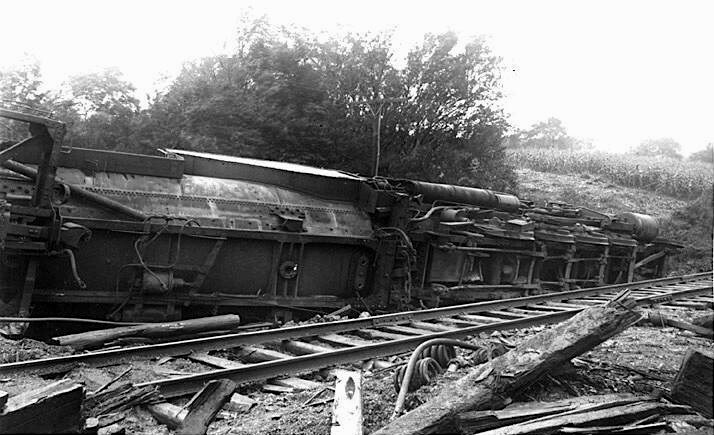 68, Engineer George Starner had jumped into the tender and was only slight hurt. 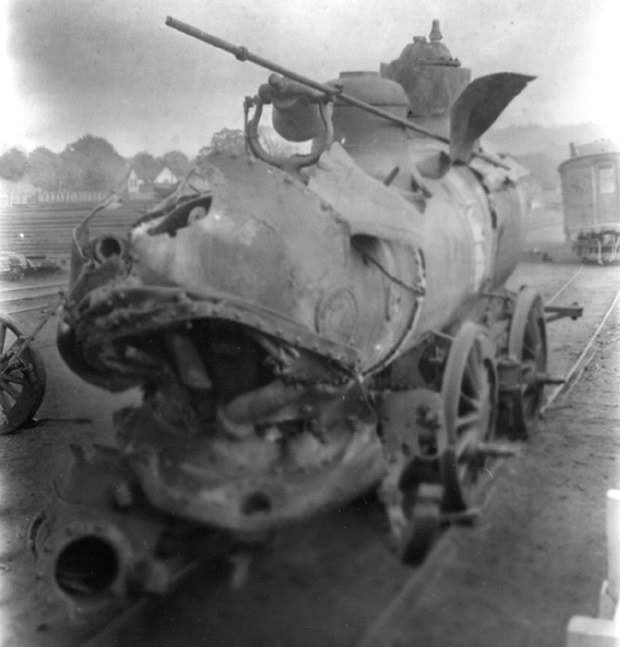 His fireman, Walker, had ridden the engine over onto its side and crawled out a window and through a ditch. He was unhurt. 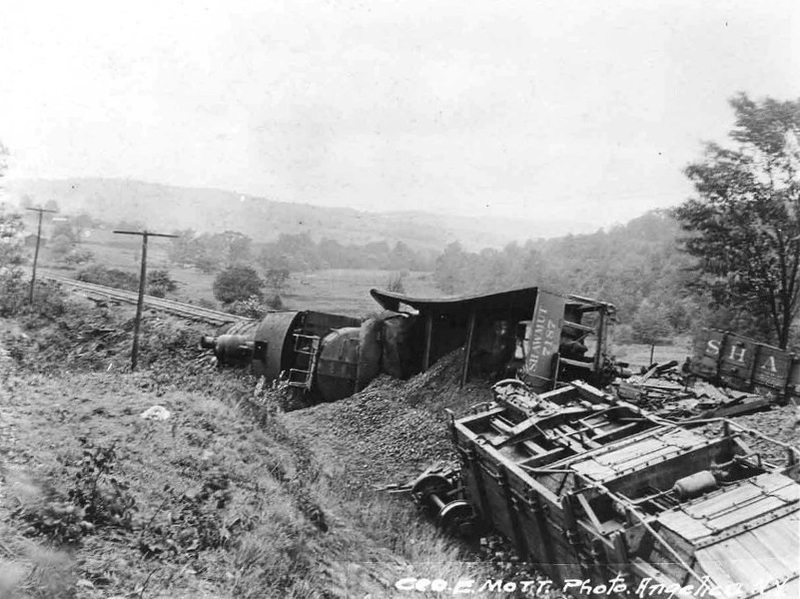 When the Interstate Commerce Commission later investigated the wreck, it noted that if the train had been properly turned, with the baggage behind the engine and the coach on the end, the passengers would not have been trapped, injured, and killed. For this, the train crews and railroad were censured. Another result of the wreck was the Receiver, Frank Sullivan Smith, ordered that engine numbers be painted on the side of all tenders in big, bold letters to enhance engine-number recognition. The night of the wreck, news reached Chief Dispatcher John O’Leary at his St. Mary’s home over the company phone that was located in his kitchen. He worked the phone for a while and then went downtown to the company offices, so as to be with General Superintendent Barney Mulhern, Superintendent Colbert, and others. Out of Angelica, the Superintendent of Maintenance of Way worked with the Roadmaster, J.N.Krebs, to clear the single track right-of-way. Work continued through the night and into the next day.